Most of us are familiar with squirrels. After all, we likely have them playing in our own backyard and they can be quite interesting to watch. 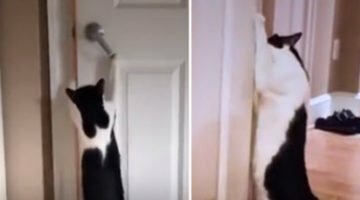 It seems as if their crazy antics are never going to end and some of the acrobatics they perform are just mind-blowing. Every once in a while, however, you hear about a squirrel that may not be quite so acrobatic. That is how the story starts. Decan Anderson watched as a baby squirrel fell off the roof of his apartment building. It landed in the garden but it wasn’t able to get up and run away. It hit a branch on its way down and had a bad cut. 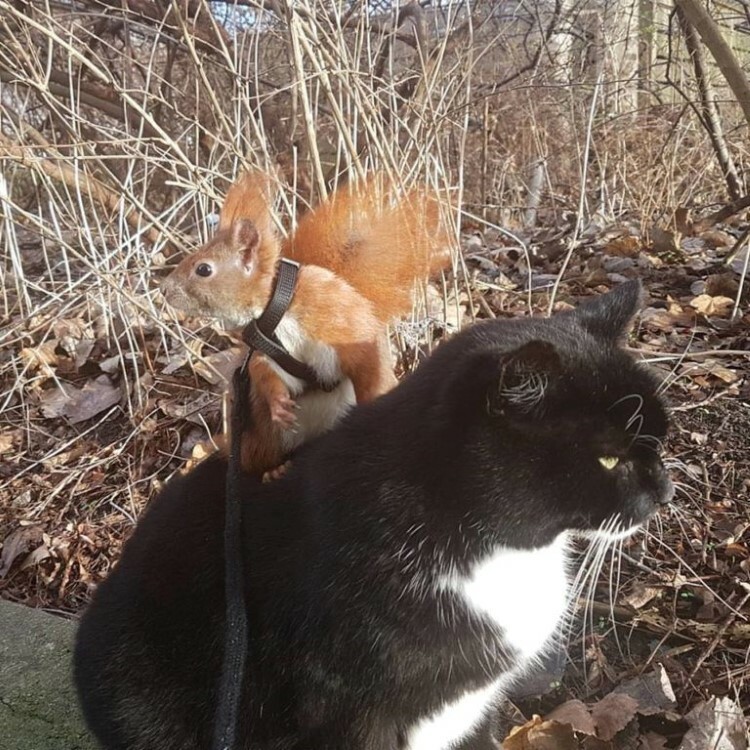 That is when Decan decided he was going to take care of the little squirrel. 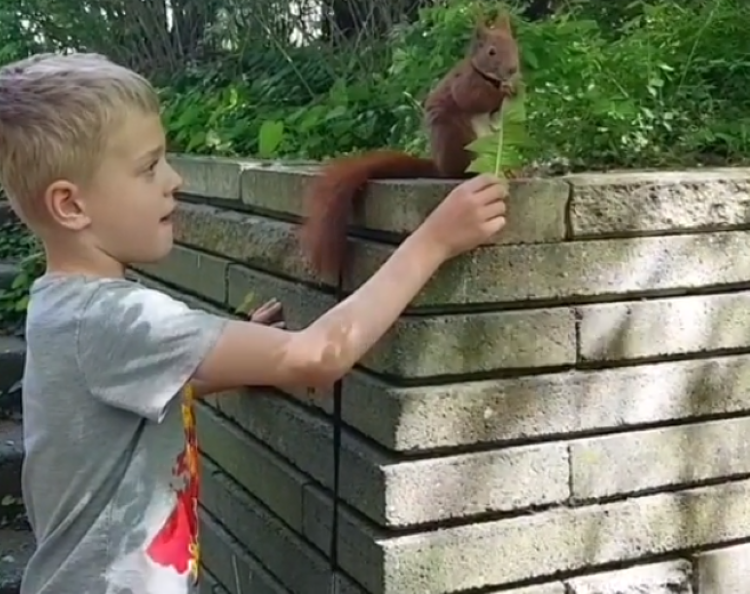 He thought the squirrel’s mother would come and rescue him but, when she did come back, she took off and left him behind! Perhaps she was aware of his injury and felt that she couldn’t care for him along with her other kits. Decan realized it was up to him to care for this precious little squirrel. 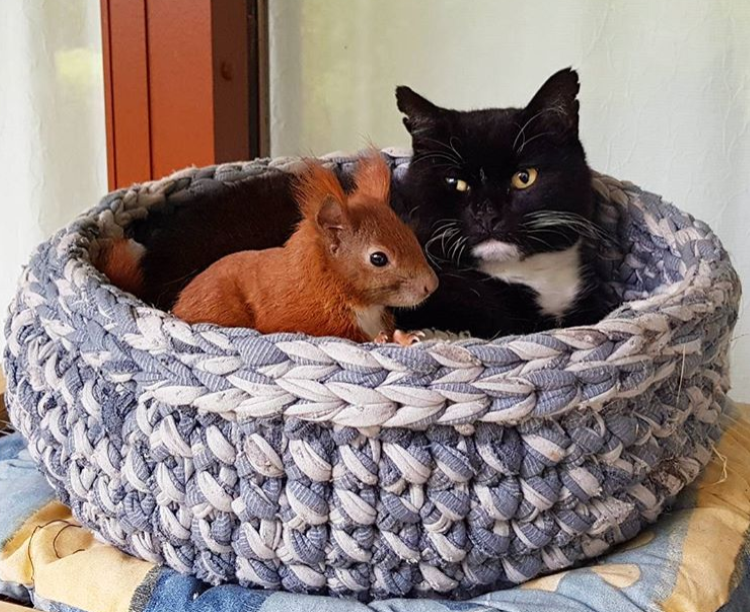 After bringing the little squirrel back home, he called wildlife officials for some advice. Something strange happened while he was on the phone; his cat, Coco, had a maternal instinct moment. Before he knew what was happening, Coco was nuzzling and licking the baby squirrel. 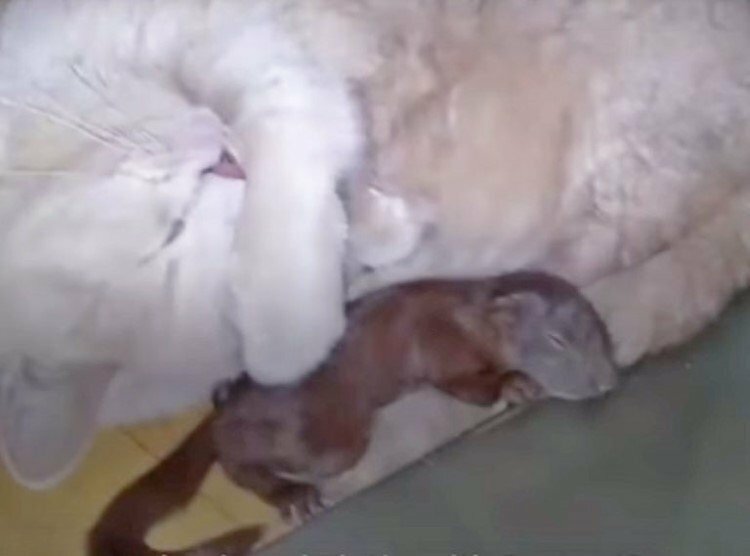 Maternal love is the strongest kind of love but the little squirrel needed medical help. Decan took him to the veterinarian, who was more than happy to help him get back on his feet again. The squirrel then went back to Decan’s home. Decan’s children were watching a movie, The Adventures of Tintin. 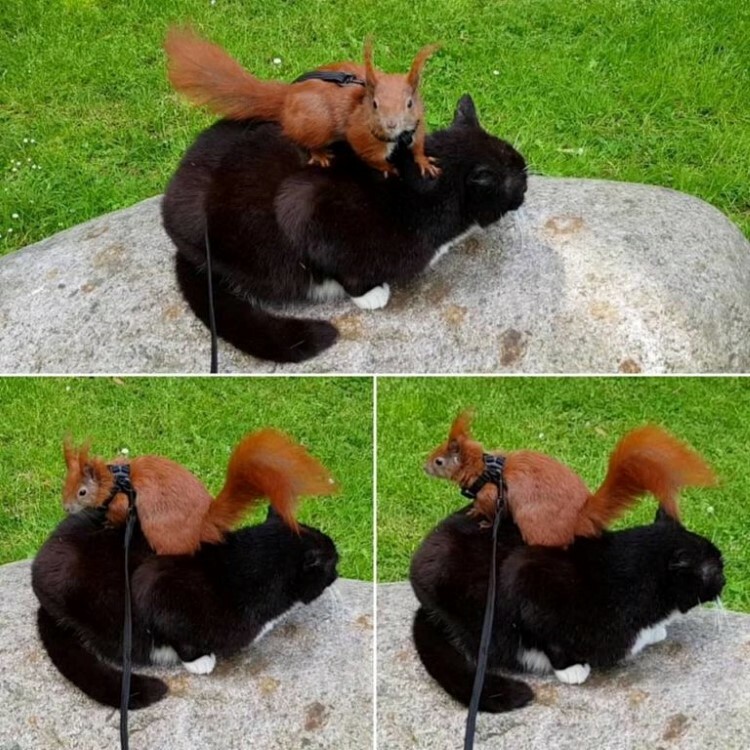 That is how the squirrel got his name. It wasn’t long before he fit into the family quite nicely and there was no way he could be let back in the wild again. A few years have passed since Tintin came into the family. Since that time, he has earned his spot with the Andersons. 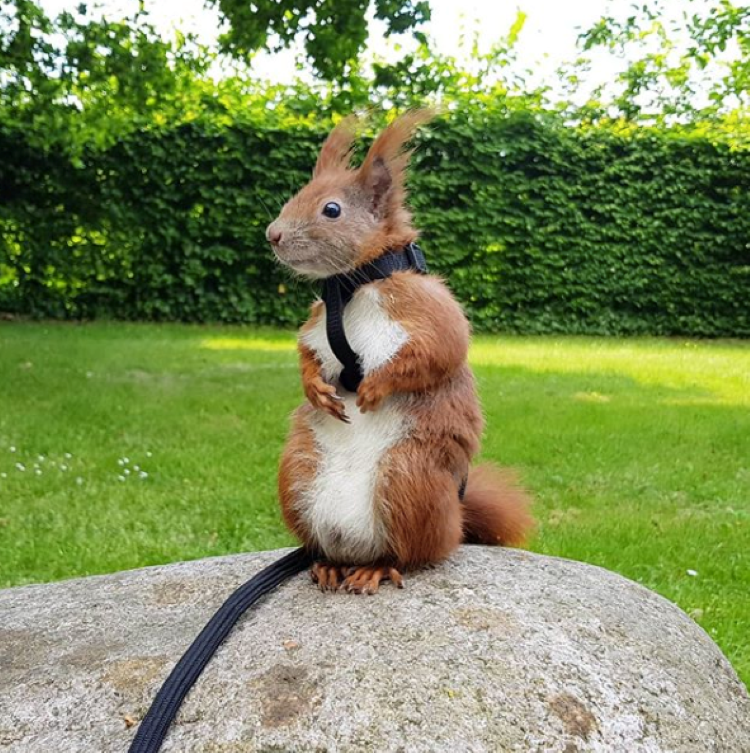 When he is at home, he eats a lot of fruits and nuts but he also goes out on a leash. Sometimes he gets one of the 3 AM cravings. 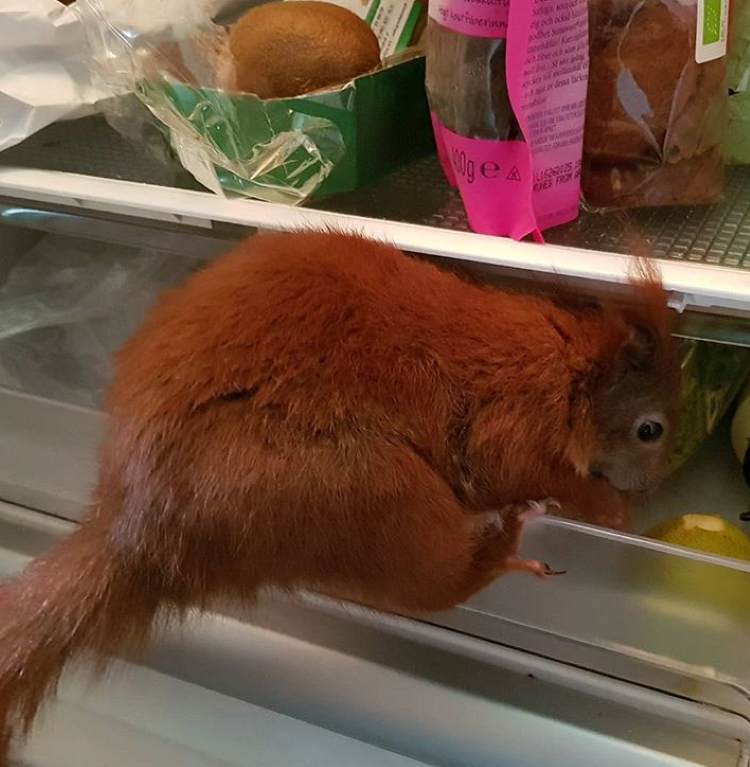 He doesn’t bother getting anyone up, he just raids the fridge on his own. Decan said that he became like a third child. He began to document the adventures of Tintin and post them on social media. 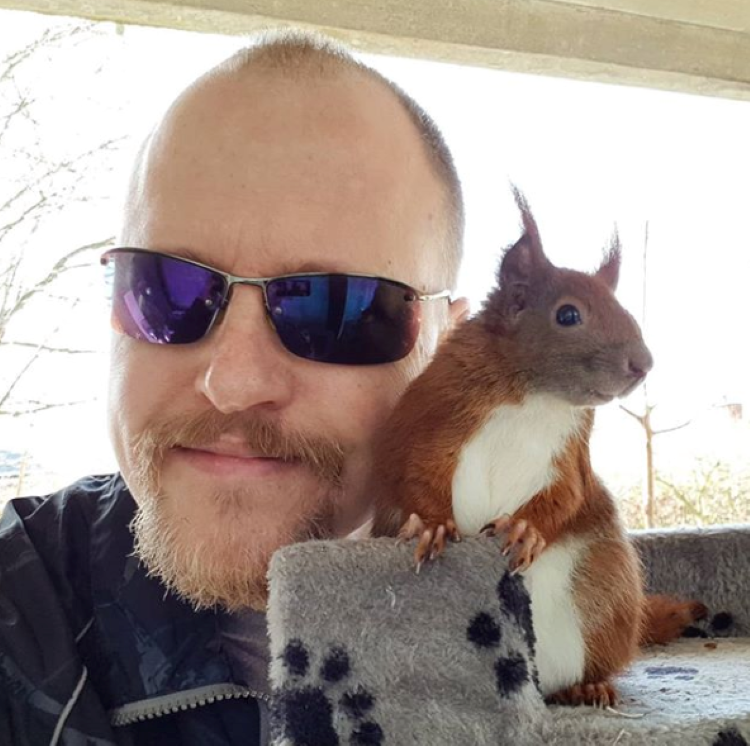 It is amazing how adorable this little squirrel can be! 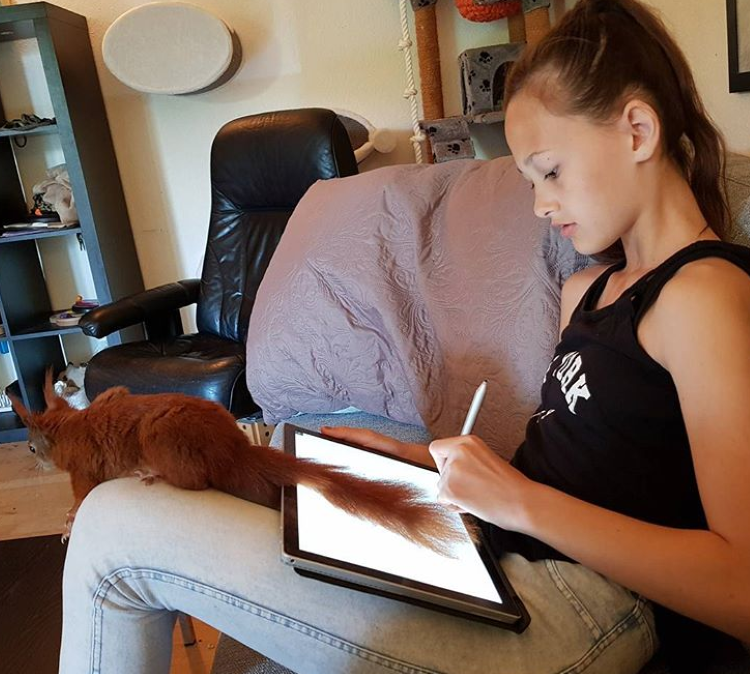 Tintin is great at helping while you study. He has a lot of fun with Decan’s human son. If you aren’t careful, living the life of Riley could add a little extra weight. Fortunately, Tintin gets in some amazing workouts. 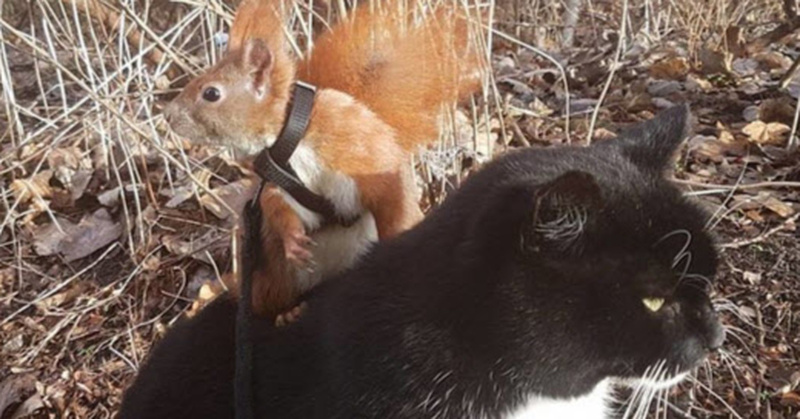 Tintin doesn’t have any fear of the other animals in the Anderson family. He will curl up with the cats or he may just hop on their back and give them a foot massage. Over 100,000 people follow Tintin on Instagram. It’s more than just amazing pictures, however, you are also going to love hearing the candid talk about how Tintin has touched their lives.